Our approach to medical communications is straightforward: ensure that the right evidence reaches the right audiences at the right time. For your product to flourish, we believe that effective HealthScience communication solutions need to be seeded at all stages of the product life cycle and to be professionally delivered through appropriate traditional or digital channels. 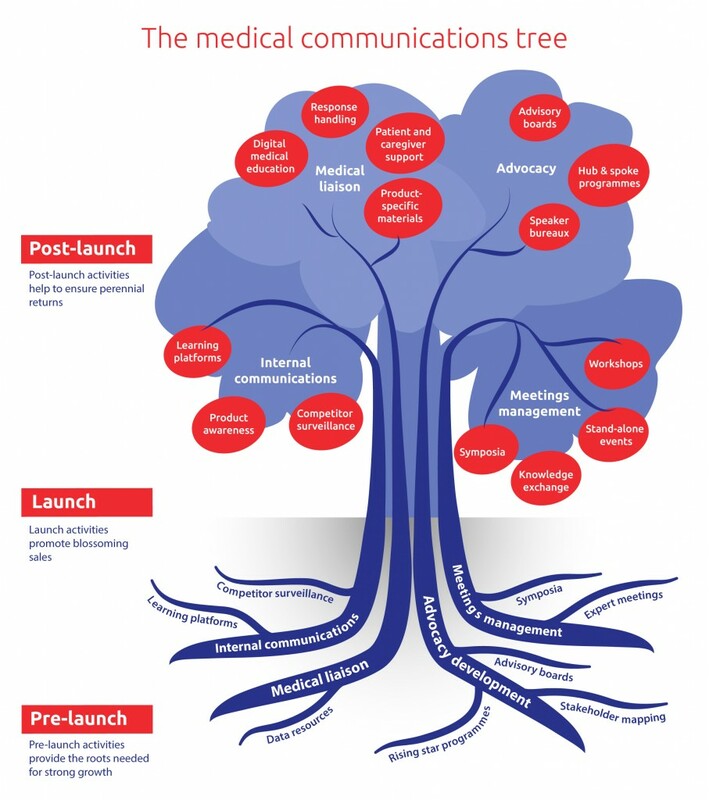 The communication focus for your product will of course evolve with time, but whether it is advocacy development pre-launch or medical expert meetings post-launch, we can support all of your medical communications needs so that your product reaches its full potential. Leask H, Sills T, Winchester C. A rough guide to… advisory boards. Pharmaceutical Marketing Europe 2016 (Mar):46–7.